We are entering an exciting period here at The Shrewsbury and Telford Hospital NHS Trust. We have been guaranteed more than £312 million pounds to develop our hospitals into two state of the art facilities that will offer greatly improved environments, more sustainable staffing and better facilities. It will make SaTH a better place to work, in turn making it a better place to receive care. 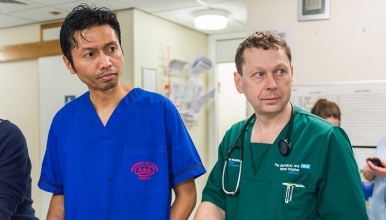 We are looking for Doctors with commitment, drive, and a desire to make an impact transforming the delivery of care within our Emergency Department.